What was the golden secret known to Leonardo da Vinci, Kepler, Plato and the ancient magicians? Can there really be a key to nature and life itself? 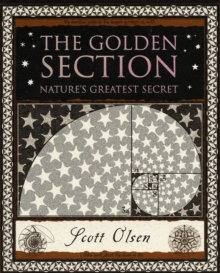 In this small but compact volume, internationally renowned divine proportion supersleuth Dr. Olsen unravels perhaps the greatest mystery of all time, a code that seems to underly life, the universe and everything, a pattern we instinctively recognise as beautiful, and which nature herself uses at every scale. Designed for artists and scientists alike, this is the smallest, densest and most beautiful book on the golden section ever produced.